In this chapter, we explore the potential of community-led air quality monitoring. Community-led air quality monitoring differs from top-down monitoring in many aspects: it is focused on community needs and interests and a local problem and, therefore, has a limited geographical coverage as well as limited temporal coverage. However, localised air quality monitoring can potentially increase the spatial and temporal resolution of air quality information if there is a suitable information-sharing mechanism in place: information from multiple community-led activities can be shared at the city scale and used to augment official information. 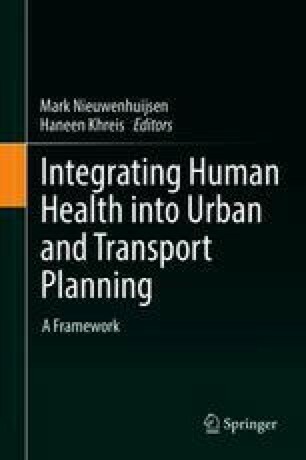 At the core of the chapter, we provide a detailed experiential description of the process of urban air quality practice, from which we draw our conclusion. We suggest that accessible and reliable community-led air quality monitoring can contribute to the understanding of local environmental issues and improve the dialogue between local authorities and communities about the impacts of air pollution on health and urban and transport planning. Thanks to Louise Francis, managing director of Mapping for Change, for sharing her valuable insights and practical knowledge acquired during many years of working with communities in London and to Tracey for allowing us to join her on the day. This chapter benefited from the European Union’s Seventh Framework Programme (FP7/2007–2013) under grant agreement EveryAware (award 265432), the EU Horizon 2020 research and innovation programme under the Marie Sklodowska-Curie grant (award 656439) and Doing it Together Science (award 709433) as well as the UK’s Engineering and Physical Sciences Research Council (award EP/I025278/1).